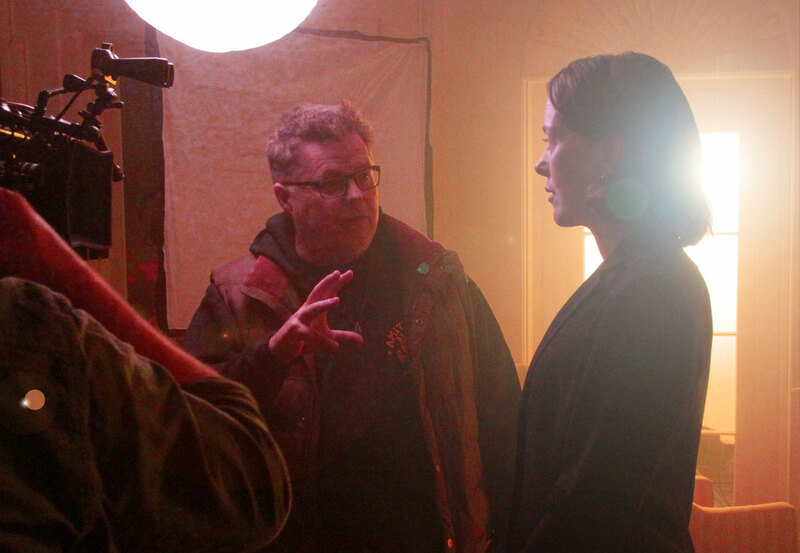 Last Friday we shot the opening scene of The Impact, written by Joe Eszterhas and starring Olivia Williams. We shot in an extraordinary White House Oval Office reconstruction in Norfolk at RAF Coltishall in the sets owned by October Films. You will know we ran a crowdfund campaign to raise the initial finances needed (but we overspent), and so we now have a stretch goal to cover the additional costs we could not foresee. You can contribute to it HERE, and are all very grateful for anything you can offer. You rock! You can watch the updated video for the crowdfund below... and contribute to it HERE. 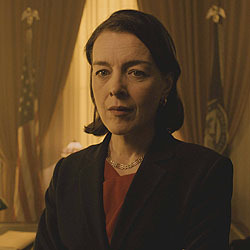 This new Presidential scene will be an extraordinary opening for The Impact50 and the cast and crew have truly elevated the whole project, along with all the filmmakers whose films are now coming in daily. It was a long day, starting at 4am and ending at midnight for me, but what a rush to direct in such an iconic location and with such worldclass talent. I am particularly delighted with the opening shot, a cinematic and stylised long dolly backwards in ultra slow motion as the president takes onboard that the planet has less than two hours left. It should set the scene with some gravity for the films that follow. 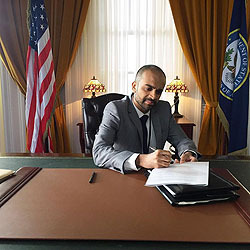 Of course this being the White House set, everyone HAD to have a selfie behind the desk, Omar winning the prize for best photo. Overall an enormously successful day. Please do consider contributing to the Crowdfund, it REALLY will make a HUGE difference. And thank you in advance. More news to follow very soon.